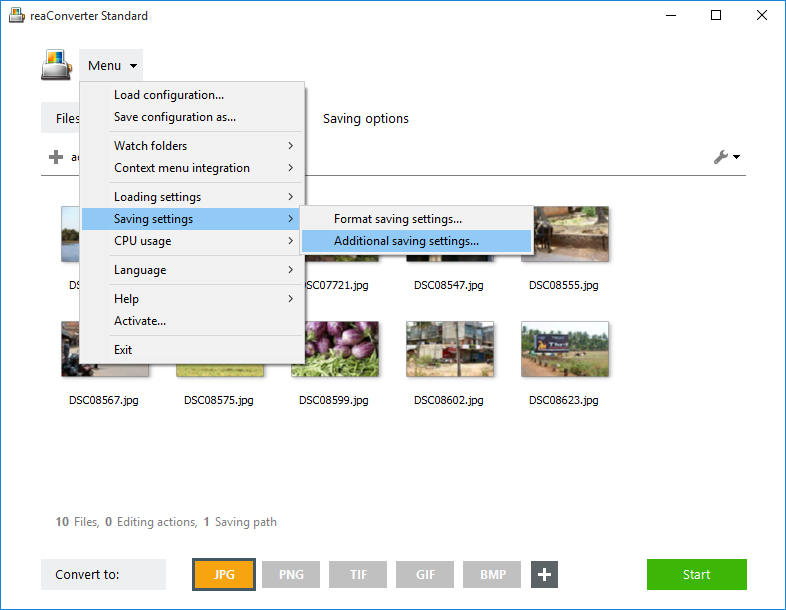 If you want to preserve the original quality of an image when converting it to a different format, transferring its alpha channel is an absolute must. The alpha channel defines in detail the level of transparency/opacity in the image, how pixels should look like when juxtaposed or blended, and how colors should be rendered. reaConverter's latest edition allows you to transfer the alpha channel from the input to the output image when doing batch image conversion and supports an impressive number of image formats. Load one or more images you intend to convert. Add them manually or use the handy drag-and-drop tool. Entire folders can also be added here. 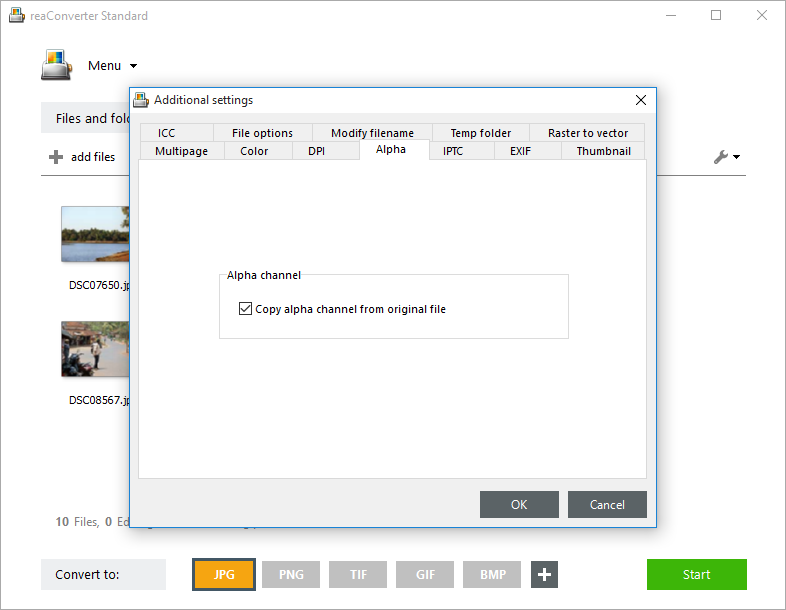 Here you can find the Alpha tab and make sure you tick the box for Copy alpha channel from original file. Go to the Saving options tab and pick a location for your output images. reaConverter allows you to save images in the source folder or in a newly created one. 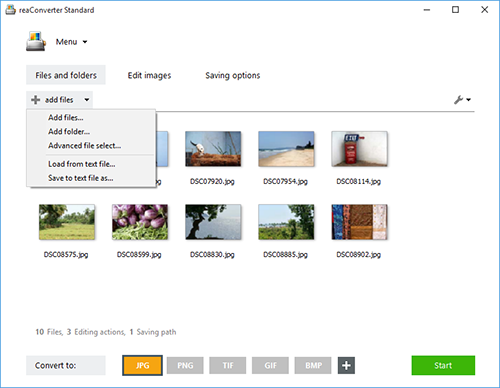 Last but not least, pick the extension of your output files by simply pressing one of the buttons from the lower part of the screen. In case you don't see the desired extension there, click on the Plus button and more will show up, including archaic and rare. Finally, push the Start button and soon enjoy your newly converted images.